High-quality mixing desk dust cover for SOUNDCRAFT 200 B 16. Available in Microfibre & Polyester. High-quality mixing desk dust cover for SOUNDCRAFT 200 B 24. Available in Microfibre & Polyester. High-quality mixing desk dust cover for SOUNDCRAFT 200 B 32. Available in Microfibre & Polyester. High-quality mixing desk dust cover for SOUNDCRAFT 200 B 8. Available in Microfibre & Polyester. High-quality mixing desk dust cover for SOUNDCRAFT 24 Delta. Available in Microfibre & Polyester. High-quality mixing desk dust cover for SOUNDCRAFT 324 Live. Available in Microfibre & Polyester. High-quality mixing desk dust cover for SOUNDCRAFT 800 B 16. Available in Microfibre & Polyester. High-quality mixing desk dust cover for SOUNDCRAFT 800 B 24. Available in Microfibre & Polyester. High-quality mixing desk dust cover for SOUNDCRAFT 800 B 32. Available in Microfibre & Polyester. High-quality mixing desk dust cover for SOUNDCRAFT 800 B 40. Available in Microfibre & Polyester. High-quality mixing desk dust cover for SOUNDCRAFT 8000 16. Available in Microfibre & Polyester. High-quality mixing desk dust cover for SOUNDCRAFT 8000 24. Available in Microfibre & Polyester. 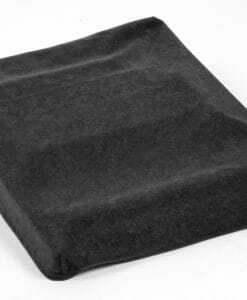 High-quality mixing desk dust cover for SOUNDCRAFT 8000 32. Available in Microfibre & Polyester. High-quality mixing desk dust cover for SOUNDCRAFT 8000 40. Available in Microfibre & Polyester. High-quality mixing desk dust cover for SOUNDCRAFT B 100. Available in Microfibre & Polyester. High-quality mixing desk dust cover for SOUNDCRAFT B 400 24. Available in Microfibre & Polyester. High-quality mixing desk dust cover for SOUNDCRAFT B 400 32. Available in Microfibre & Polyester. High-quality mixing desk dust cover for SOUNDCRAFT B 400 40. Available in Microfibre & Polyester. High-quality mixing desk dust cover for SOUNDCRAFT B 400 48. Available in Microfibre & Polyester. High-quality mixing desk dust cover for SOUNDCRAFT B 400 56. Available in Microfibre & Polyester. High-quality mixing desk dust cover for SOUNDCRAFT B 800 24. Available in Microfibre & Polyester. High-quality mixing desk dust cover for SOUNDCRAFT B 800 32. Available in Microfibre & Polyester. High-quality mixing desk dust cover for SOUNDCRAFT B 800 40. Available in Microfibre & Polyester. High-quality mixing desk dust cover for SOUNDCRAFT B 800 48. Available in Microfibre & Polyester. High-quality mixing desk dust cover for SOUNDCRAFT B 800 56. Available in Microfibre & Polyester. High-quality mixing desk dust cover for SOUNDCRAFT Bb 100 14. Available in Microfibre & Polyester. High-quality mixing desk dust cover for SOUNDCRAFT Bb 100 22. Available in Microfibre & Polyester. High-quality mixing desk dust cover for SOUNDCRAFT Bb 100 30. Available in Microfibre & Polyester. High-quality mixing desk dust cover for SOUNDCRAFT Bb 100 38. Available in Microfibre & Polyester. High-quality mixing desk dust cover for SOUNDCRAFT Compact 10. Available in Microfibre & Polyester. 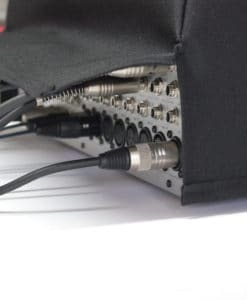 High-quality mixing desk dust cover for SOUNDCRAFT Compact 4. Available in Microfibre & Polyester. High-quality mixing desk dust cover for SOUNDCRAFT D Mix 1000. Available in Microfibre & Polyester.